April went to splitting and stacking the last of the 7 cords of wood for the spring firing. Kevin has said that an ideal firing would be 60% soft wood and 40% hardwood. We’ve got about that mix this time, with a sizable chunk of our wood coming from a small miller in the area, who brings us kiln-dried slab. This stuff is beautiful! Already Gary, the frame-making neighbor, has picked over the pile for workable pieces. I forsee great trepidation in the stoking of some of these pieces of cherry, walnut, and red oak. Tight and speckled grains, elegant knots, deep burgundies and purples, even the green of locust can be found in our wood stack. These slabs are beautiful works of art themselves, but I think they’ll look even better as beauty marks or runny green ash on my pots. 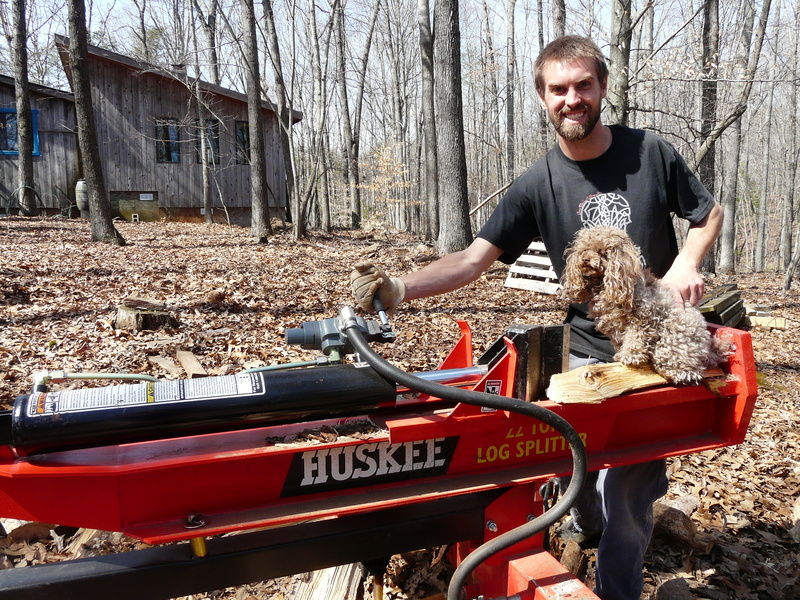 Here is a snapshot from a wood-work day last month; Suki helping Adam run the log splitter. April went to a trip to the homeland, Greensboro, NC. I ventured down in order to support my alma mater, Guilford College, and its most recent crop of BFAs. The thesis show was spectacular, as always, and I was very proud of my roots. Another Guilford alum is my dear friend Brett McDonough. 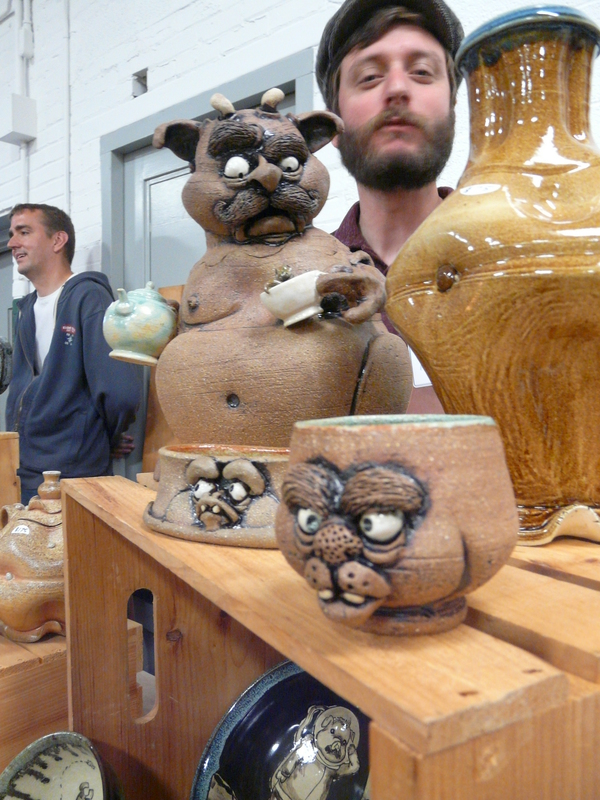 He has been making a living in clay since the day he graduated back in 2008. 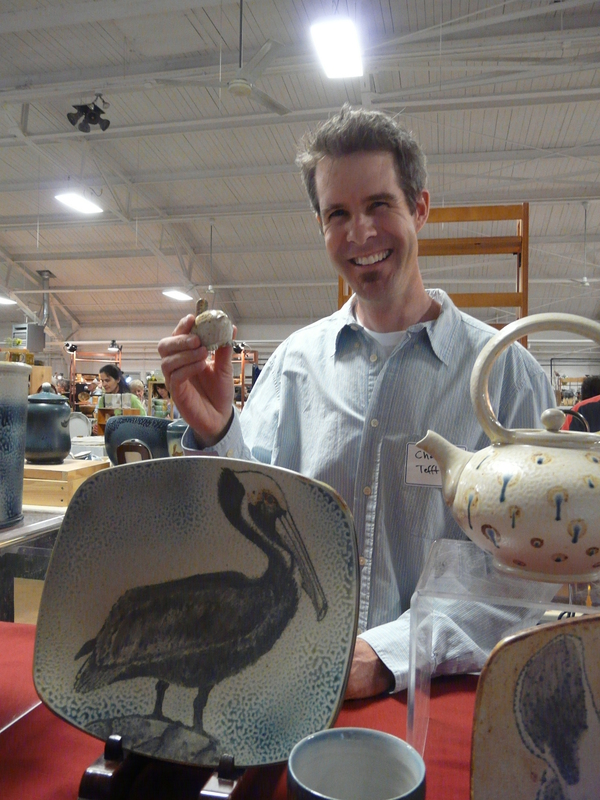 He teaches classes at the Center for Visual Arts in Greensboro, sells his pots all over the state, and makes his work at a sweet pottery studio called Earthworks Pottery. His pots crack me up, gross me out, and make me want to own a whole set for entertaining. Brett’s eye for design and his pursuit of the marriage between the truly functional and the truly comical is something I greatly admire. Go get’em, Brett! April also went to making my last pots as apprentice here at Tye River Pottery. 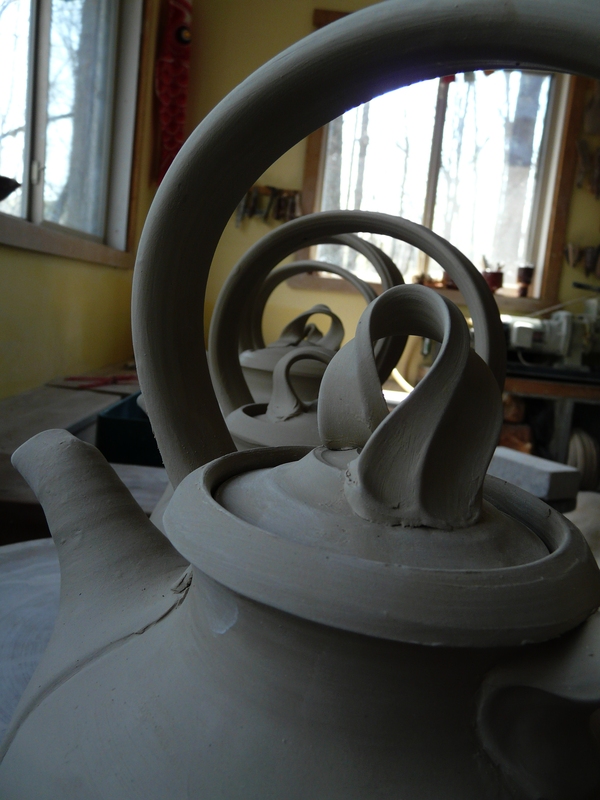 I wrapped-up my throwing cycle with another set of mugs, some 8# bowls, and one last crop of teapots. Most of these pots are already in the kiln, as we’re ¾ through with loading already. I can hardly believe my last firing is two weeks away. If you’re wondering, I’ve got about ten things I’m planning to do once I leave Nelson County in the end of May, though none of them pinned-down. 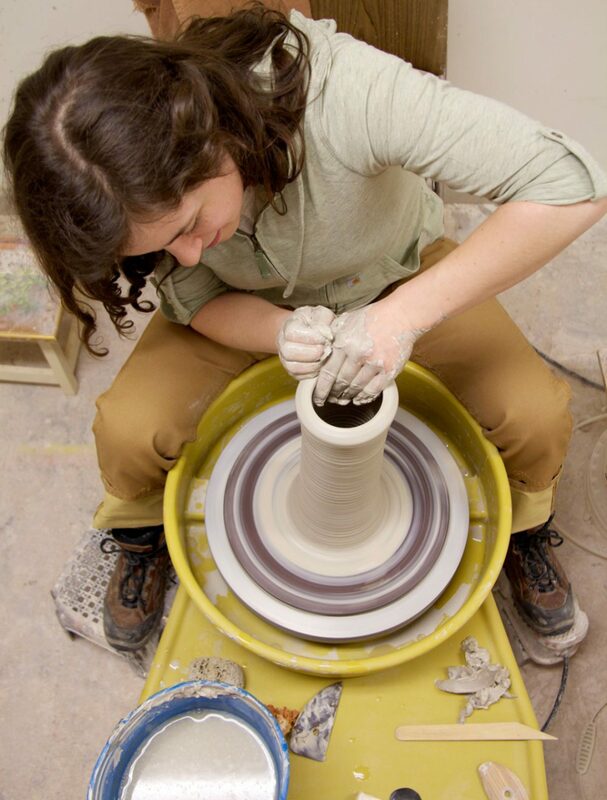 I’ve been applying for residencies, fellowships, and craft-teaching gigs. I’ll let you know once I know where I’m headed next. Right now the freedom is thrilling. There are a lot of men in this blog post, so I may as well balance it out with this lovely link: Women with Pots.